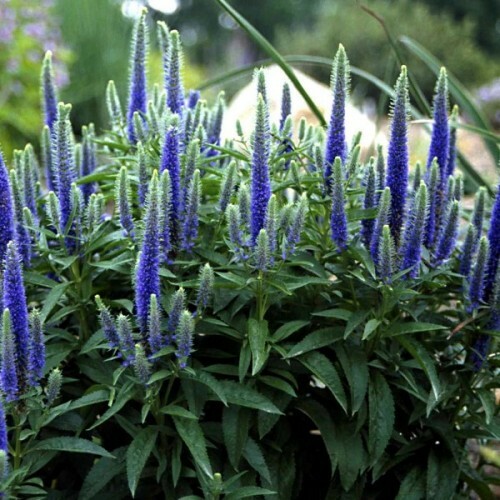 Approximately - 200 seeds in 0.1g packet.A perennial classic, spike speedwell is a prized long-b.. Approximately 100 seeds in 0.5g packet.Annual blanketflower grows readily from seed and is nativ.. 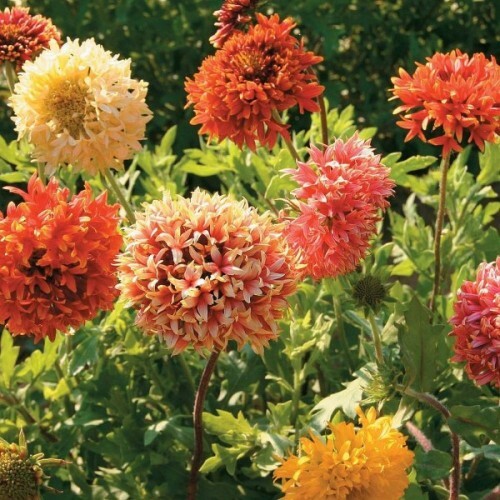 Very easy to grow, light and breezy plants with striking blooms, most having a contrasting collarette of vivacious golden petals. 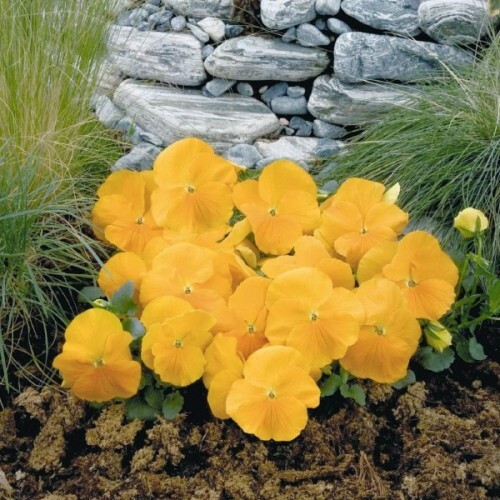 Native to the Great Plains of central North America, it is a fast-growing annual or short-lived perennial that becomes covered with flowers from mid to late-summer and sometimes into fall, if plants are deadheaded. 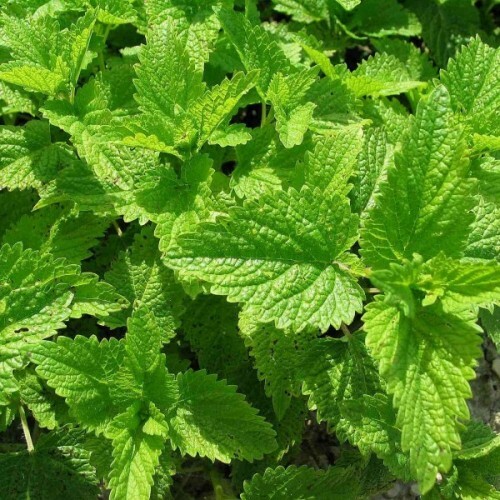 Its fine green leaves are long and thickest along its long, branched, stiff stems. It has a very long, tall, top heavy habit, so it often needs to be staked. Flowers appear in masses and attract lots and lots of butterflies and bees. The seedheads draw songbirds and the plants self-sow, though not aggressively. Requires full sun and can be grown in many garden soils so long as they offer average to good drainage and fertility. A delightful border plant. Plants should be staked when they are relatively small, before they begin to flop. This tickseed was traditionally used to make a golden yellow dye for textiles, hence the name "tinctoria". It is ideal for children's gardens because of its bright color, butterfly attraction and use as a dye for paper and fabric. 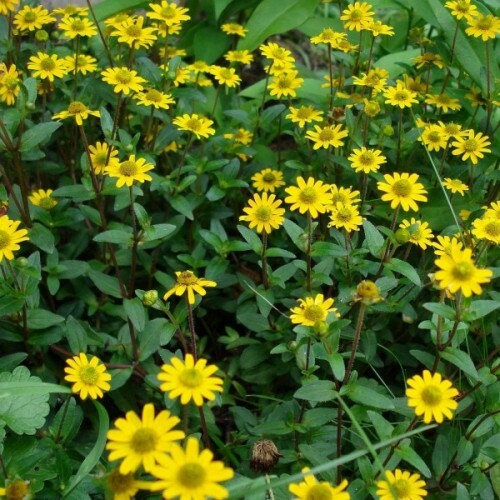 It is also a lovely wildflower, and its blooms are great for informal arrangements. Sow inside from March to April in pots or trays of moist seed compost and cover with a very fine sprinkling of compost or vermiculite. It can be sown outside in teh prepared seed bed from March to May. Place in a propagator or warm place, and keep at a constant temperature of between +20C - +25C (68F - 77F). After sowing, do not exclude light as this helps germination. Keep the surface of the compost moist but not waterlogged; germination will usually take 21-30 days. Succession sowings from March to June will provide continuous bloom. Approximately 250 seeds in 0,5g packet.These early-flowering, biennial plants are excellent for ..
A mature bald cypress is a wonderfully regal tree. This tall, upright, deciduous conifer has exq.. Most know only know chives as a chopped herb sprinkled on salads or added to cream cheese for mi..
Sunflowers are vigurous and fast growing plants. A nice eye-catcher and visual protection for fe..